Dal is one of the most important staples in Indian diet. There are many different types of dal in India and it is regularly cooked in one form or the other in almost every homes. Dal recipes are really easy to prepare. As a protein source eaten with a starchy food like bread or rice and a milk product like yoghurt, dal is a key part of a healthy, well-balanced diet. In this recipe, chana dal (split chick peas, Bengal gram) is combined with bottle gourd ( doodhi, lauki) to give a lightly spiced, nutritious and tasty dish that goes well with chapatis and even rice. 1. Soak chana dal in water for at least 1 -2 hrs. Cook chana dal in enough salt, turmeric powder and water till they are soft and cooked but not mushy. It takes around 20 – 25 minutes. 2.Wash the lauki and peel off its skin. Cut it to cubes. Cook them with little turmeric powder and salt in a pressure cooker, for two whistles or until soft. You can also cook them covered in a vessel with some water until it gets soft. Mash them lightly with the back of a rounded spoon. 3. Heat 2 tsp oil in a pan. Splutter mustard seeds, cumin seeds and add the ginger-garlic paste. Sauté for a minute until the raw smell is gone and add the green chillies. Sauté for a few seconds and add 1/4 tsp chilly powder, 1/2 tsp coriander powder and chopped tomatoes. Cook until the tomatoes get mashed up and then add the cooked lauki along with the water in which they were cooked. Boil for a few minutes and add the cooked chana dal. Mix everything well, cook for a few minutes stirring occasionally and switch off. Garnish with cilantro. If you want more gravy, you can add more water and reheat. The gravy tends to get thick after a little while. Serve hot with chapatis or rice. You can cook the chana dal and lauki together in a vessel or a pressure cooker ( for about 1 whistle or until they get soft but not mushy) adding enough salt, water and turmeric powder. Easy simple dal. I love this one lot. Nice recipe. Such a delicious dal, very comforting..
Lauki daal looks so comforting n nice..love it! yummy n healthy dal.. tempting pics.. Simple and delicious. Perfect with rice or chapathi. wow..looks yummy..and nice presentation too.. Delicious looking dhal, looks so tasty , love the pot and the click is awesome. 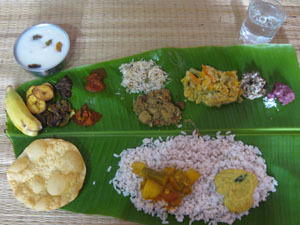 Adipoli pic.Nalla pathram :).Dal looks so delicious. I like bottle gourd. My mom cooks them very often in summer time. Just delicious! Good recipe. The photography is really fantastic!!! Adipoli recipe & presentation maya..will try this sometimesttooo..
mmmm..looks very good will soon give it a try…. Love the colour of the dal… Nice clicks..